We’re a long way from the days where the hardest iPhone decision was what color you should choose. The arrival of the Plus devices, with the iPhone 6 Plus back in 2015, made things a little trickier, though even then it was a fairly straightforward choice where size corresponded with specifications. With the arrival of the 2018 iPhones, however, Apple has upended the decision process once again. We had the first signs of that complexity last year, and the iPhone X. Up until then, you either went for the “regular” sized phone, like an iPhone 7, or you opted to go larger and get the iPhone 7 Plus. In the process you got a bigger display and, just as important to many, twin cameras. That held true with the iPhone 8 and iPhone 8 Plus, but the iPhone X muddled things, at least at first glance. Its 5.8-inch display was larger than the 5.5-inches of the iPhone 8 Plus, but thanks to its minimal bezels it was a smaller device overall. You still got the dual cameras, though. Still, the hierarchy was relatively simple. Dual cameras come with a bigger screen; smaller phones have single cameras. 2018 changes that. The iPhone XS and iPhone XS Max have a 5.8-inch and 6.5-inch displays respectively, along with dual cameras. So far, so good, but the new entry-level iPhone XR upends the usual assumptions. With a 6.1-inch display it falls in-between the XS and XS Max, both in terms of screen size and physical dimensions. However it only gets a single camera. Personally, I made the shift to the Plus-sized iPhones grudgingly. The iPhone 6 form-factor was, to me, preferable; at the time I valued having a smaller, more hand-friendly device than a bigger screen. However I couldn’t have that and get the dual cameras, and I really wanted the 2x optical zoom. I stuck with that compromise until the iPhone X’s launch last year, though in the intervening years – and indeed as I relied more and more on my smartphone as a tablet replacement and the “computer” I reached for most often – I grew to appreciate having a larger screen too. The iPhone X promised to combine both camera and screen in something noticeably more compact than the iPhone 7 Plus I’d been using before it. It was, frankly, a no-brainer decision. This year, the decision many iPhone buyers face is tougher. I’m not alone in growing to appreciate the potential a larger display offers, though I’m also probably not alone in wondering whether the iPhone XS Max is – in size and weight – a little too big for me to use every day. In comparison, however, the iPhone XS seems a little on the small side now. The iPhone XR, which won’t be released until next month, slots in-between the two when you’re considering screen size. It’s also considerably cheaper than an iPhone XS; however you compromise on the dual cameras. While Apple is promising some digital trickery to give you Portrait mode on the iPhone XR, even with a single rear camera, it’ll only be available for a limited range of subjects. I also suspect it may not be quite as convincing as the dual camera system is on the more expensive handsets, and of course you don’t get the optical zoom. As conundrums go, choosing a new smartphone is certainly a first-world issue: the epitome of, what my mother would say as I was growing up, “a nice problem to have.” On the one hand, if sheer screen size is your primary concern, you can sate that and save some money in the process. It’s notable that, while the display may be LCD not OLED, and the rear camera a single sensor not two, the key components inside are the same as its more expensive siblings. You still get the new A12 Bionic chipset, for instance, so the iPhone XR should be just as fast as the iPhone XS Max is. If, though, you were hoping for a larger screen than that of the iPhone X, but the iPhone XS Max’s size and weight are pushing the limits of acceptability, however, it’s a tougher choice. I can see myself gritting my teeth and opting to carry the iPhone XS Max every day, just because of the extra display real-estate and it means I can keep the dual cameras and optical zoom. I can definitely see how the iPhone XR would hit the sweet spot in price and features for many, though. Choice is, usually, a good thing. I think Apple’s 2018 iPhone line-up is the strongest showing we’ve seen from the company in a long time, in fact. Yet part of me still thinks fondly of the days when picking between models was a little more black & white, both as a smartphone user myself and as someone frequently asked “which iPhone should I buy?” by others confused by the options. 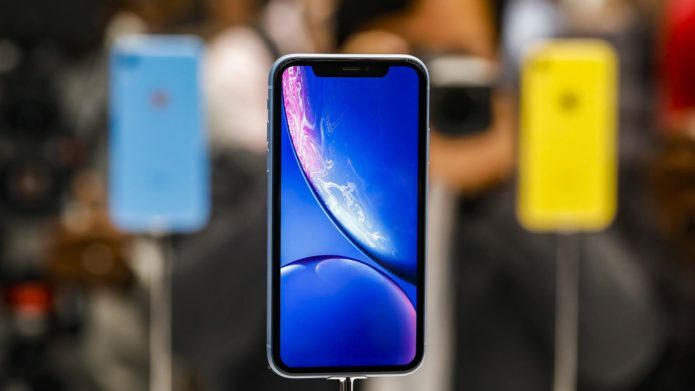 If there’s one thing I’m certain of, it’s that interest in the iPhone XR will be sky-high when it launches next month, and there may well be many who would typically look straight to Apple’s most expensive handset among that group.